Try out our in-home pet care and come home to a happier pet. From a beta fish to aquariums, finches to parrots, dogs and cats to chickens and ducks, reptiles to pocket pets, we love them all! 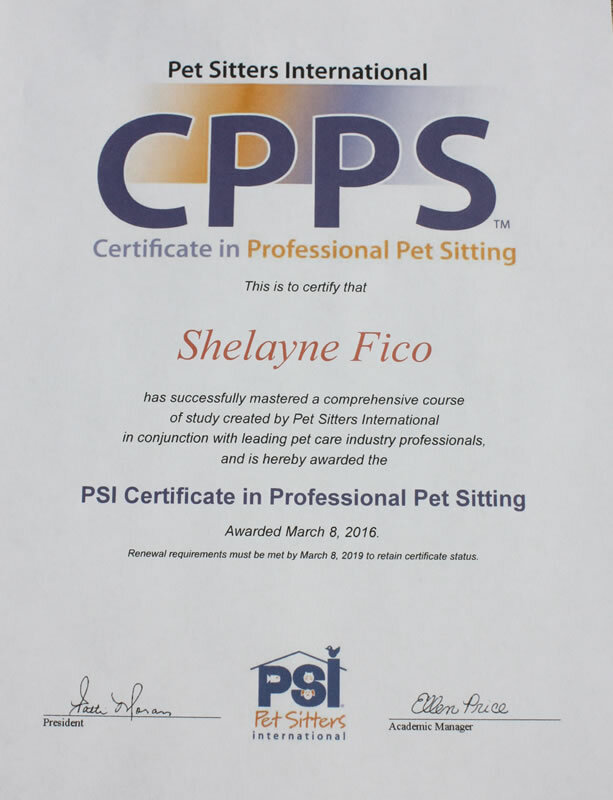 For first time clients we require a free one time Initial Consultation Visit also known as a “Meet and Greet” so you can fill out the necessary paper work on your pet(s), provide your veterinary information and emergency contacts. Since we are an in-home pet sitting service, during this visit you introduce us to your pet(s) and take us through your pet’s routine. It is very important that our forms are filled out completely and in a very detailed manner. 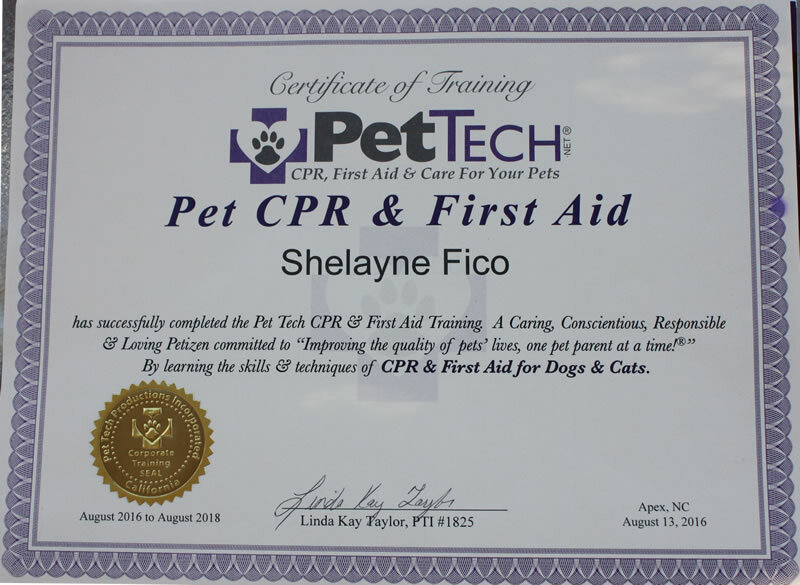 That helps us care for your pets in the best manner possible. Due to this, we go over all of our forms together at the Meet and Greet consultation. 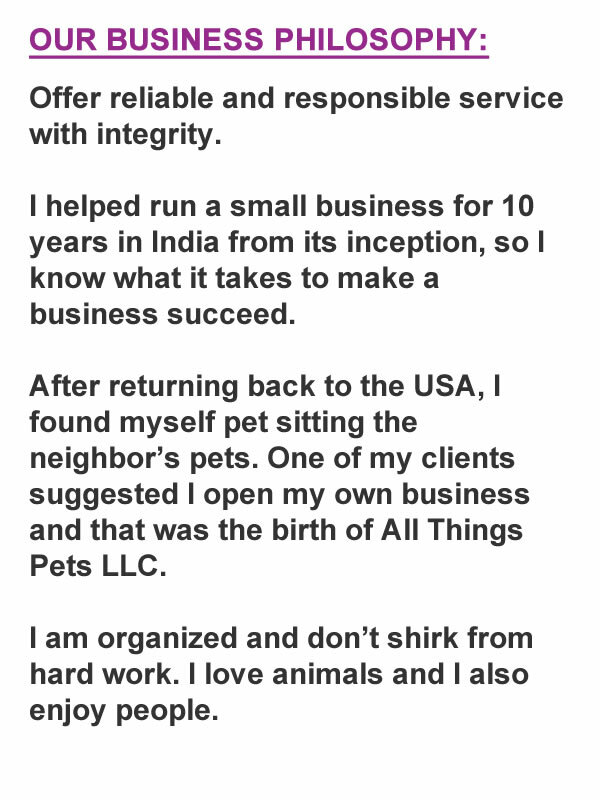 All Things Pets LLC is a very customer oriented business. We adhere to the adage that the customer is ALWAYS right! We aim to give the best quality service to the pets in our care. 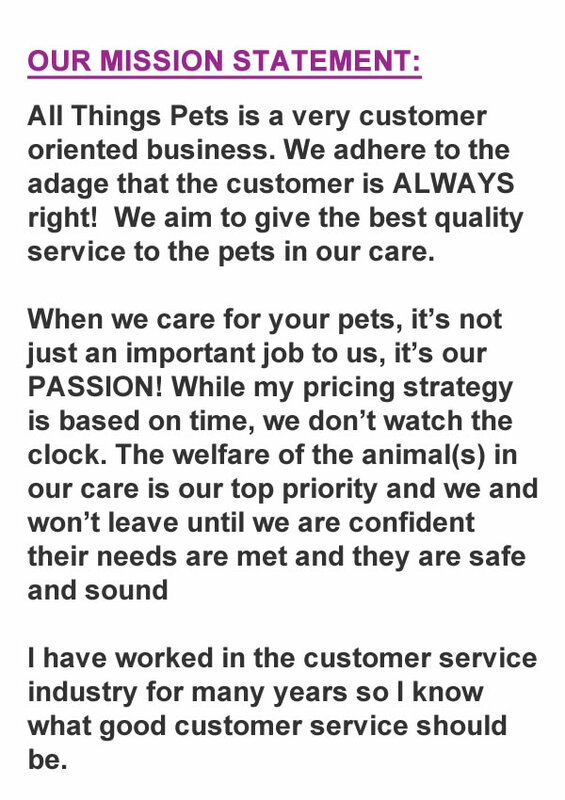 We emphasize customer service and customer satisfaction which includes not only the owners but the pets we watch and care for. While the pricing strategy is based on time, we don’t watch the clock. The welfare of the animal(s) in our care is our top priority and we and won’t leave until we are confident their needs are met and they are safe and sound. Mid-Day Dog Walk or Play/Potty Break Visit — Perfect for puppies! There is no limit as to how many dogs can be let outside in a fenced yard. On leash: up to 2 dogs. For first time clients, we expect 50% payment in advance for booking and the remainder on or before the start of service. 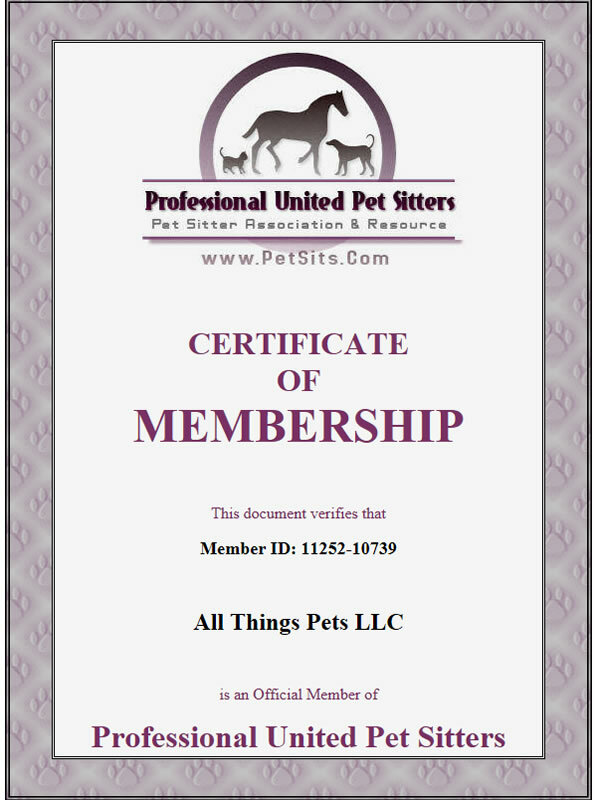 Call Us at (910) 985-3124 or email us at allthingspets.us@gmail.com All communications will be answered within 24 hours.